Do you want a Night Mode for Facebook app and website? You can get this by following the steps here below in this help page. 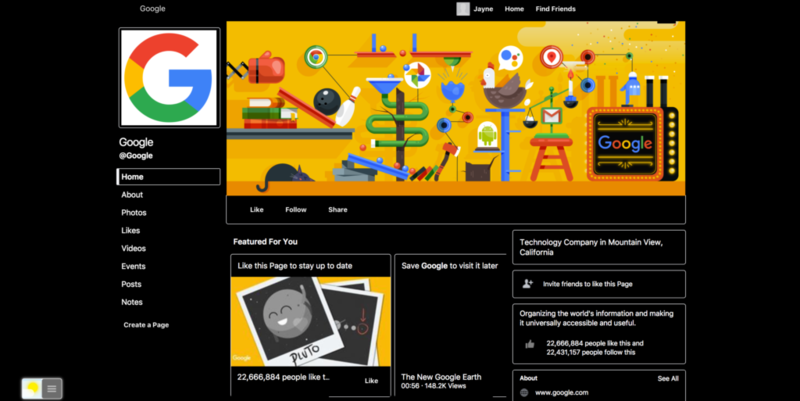 You get a darker and customizable theme that matches with the content on Facebook. When the night switch is visible below your current web page, you can click on it to activate the dark theme (it go from the moon icon to the cloudy sun icon). And with a single back, you get your normal blue Facebook web page. However, if you don’t like the completely black background. You can change it to a different kind of color such as gray, green, red, yellow, orange, etc. That is also for the text and hyperlink color you see on the Facebook page.